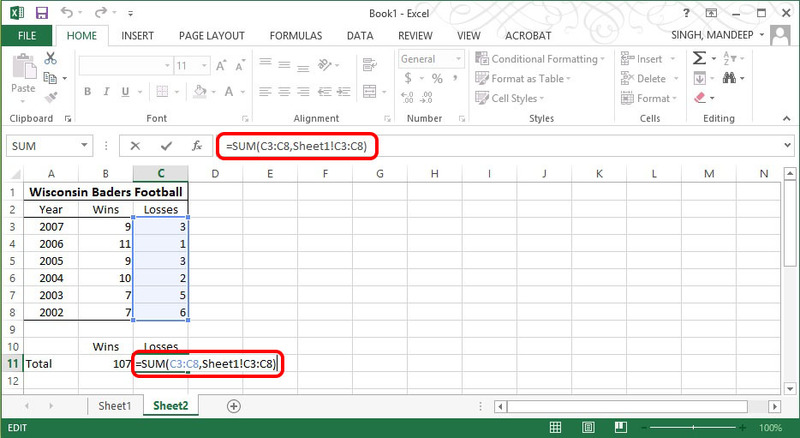 This document explains how to calculate the sum or total when working with cell data located in multiple worksheets. 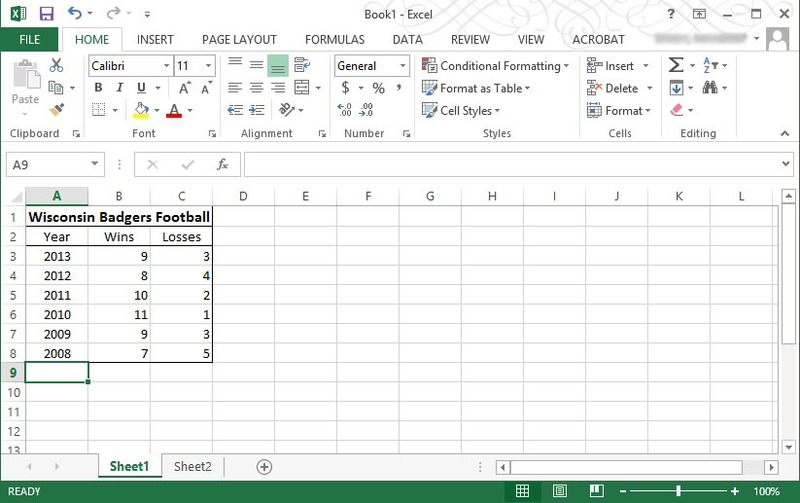 In other words, how to take the value of a cell located in one worksheet and add it to the value of another cell located in another worksheet to come up with the total of the respective cells. Sheet1 has the following table setup. Sheet2 has the following table setup. 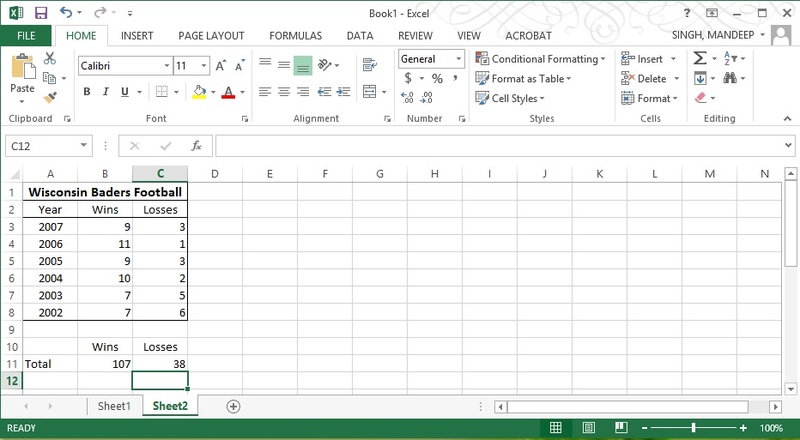 Click into the desired cell you wish to add contents and type =SUM( and then the cell range you wish to add. In our example we chose the cell range =SUM(C3:C8). 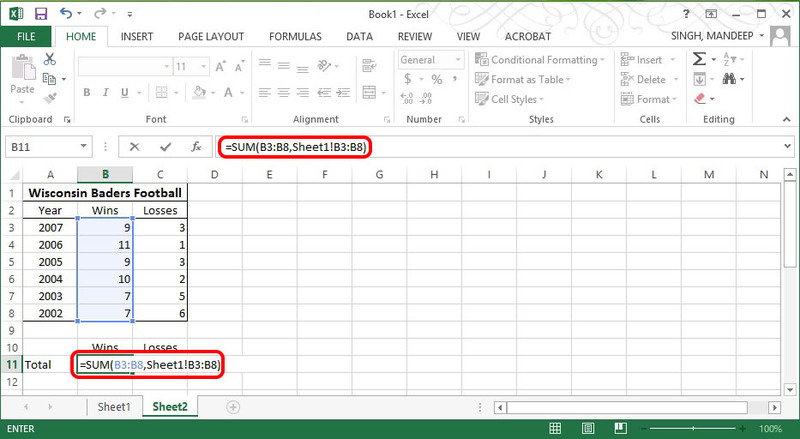 Note: You are able to add multiple cell ranges by separating them by commas such as(B3:B8, C3:C8). 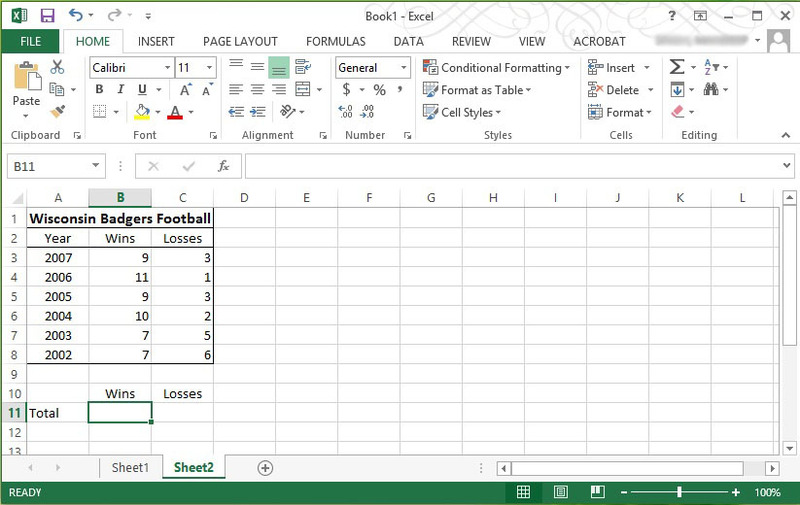 After inserting the desired ranges hit enter and the cell will fill with the function results.